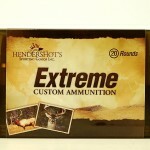 Don’t handload and want more ammo options for your 28 Nosler? 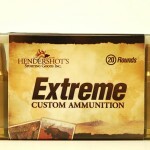 Hendershot’s “Extreme” Custom Ammo offers you a multitude of choices loaded with today’s high performance bullets. BRASS IS ON HAND AND WE ARE DELIVERING ORDERS IN 10-12 DAYS!!!!! 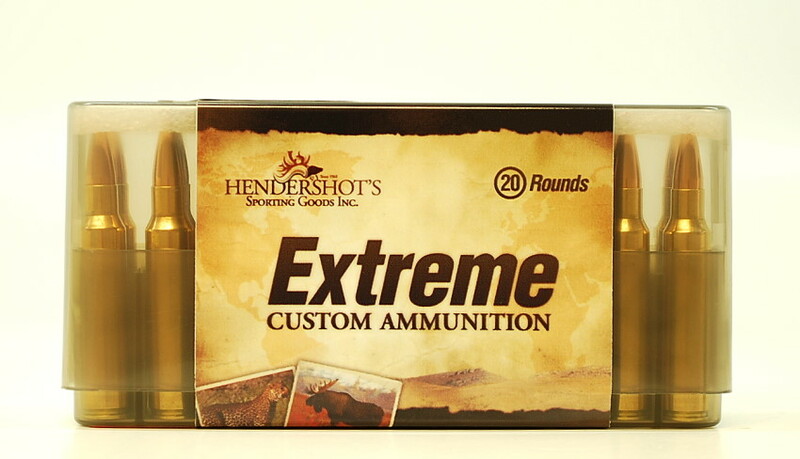 Long Range Shooting 600 Yards and Beyond: Hornady 162gr & 175gr ELD-X, Berger 168gr Classic Hunter, Berger 168gr & 180gr VLD, Barnes 168gr LRX, Nosler 160gr Accubond, Nosler 168gr & 175gr Long Range Accubond. 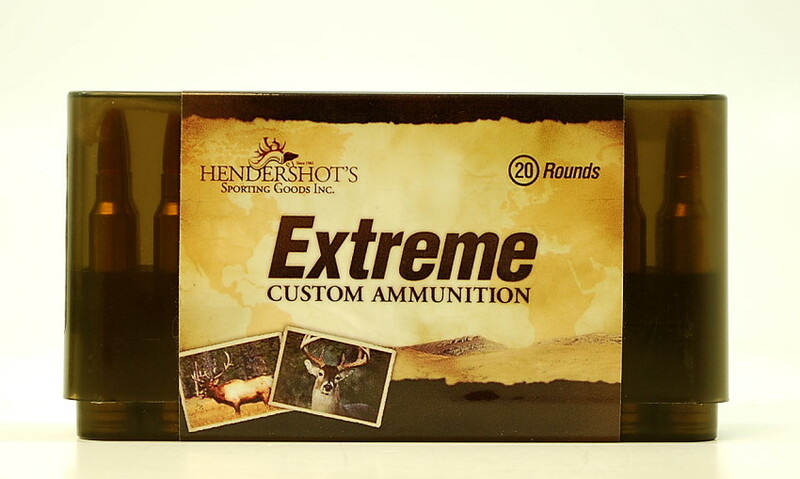 Hunting – Medium Size Game: Berger 140gr & 168 VLD, Berger 168gr Classic Hunter, Nosler 140gr Partition, Nosler 140gr Accubond & 150gr Long Range Accubond, Barnes 140gr TSX & TTSX, Barnes 150gr TSX & TTSX, Barnes 145gr LRX, Hornady 150gr ELD-X & 162gr ELD-X, Hornady 139gr GMX, Swift 150 gr Scirocco II. We are more than happy to discuss bullet performance relating to our 28 Nosler ammunition, and bullet selection for your rifle. Please call us at (240) 347-4883 and we will be happy to speak with you!